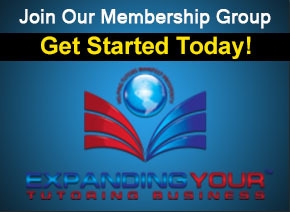 The Tutor Outreach Group is dedicated to reaching out to help tutors worldwide. 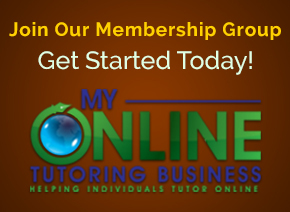 We provide innovative, data-driven, and consumer-focused services and products to help you become a better tutor, start your own online tutoring business, and expand your tutoring business practice. We believe that people need good information coupled with research and real-world experiences to make an informed decision in both their personal and professional lives. 1. Put Our Clients’ Interests First. We know that our clients make us who we are today. Therefore, we put our clients’ interest first because we cannot forget who make us a chosen learning organization. 2. Provide Exceptional Customer Service. We value our clients so it is very important for us to make sure that they have the best experience when working with us on a project or receiving one of our many services. 3. Maintain Client Confidentiality. We do not reveal any clients’ information without their written permission. 4. Keep it Real. We do tell you the truth, regardless of the popularity of our views or their effect on our fees. We have the courage to develop innovative solutions to problems. We keep it real so that our clients can reap long-term benefits of our services and products because we are able to get to real concerns and reach practical recommendations. 5. Deliver Data-Driven Results Cost-Efficiently. We believe that our clients should have access to field-tested resources. Our services and products are based upon data-driven results that will not leave a hole in your pocketbook. We provide value cost-effectively. 6. Remain Professional. Uphold absolute integrity and show respect to customs and cultures, as long as we don’t compromise our integrity.